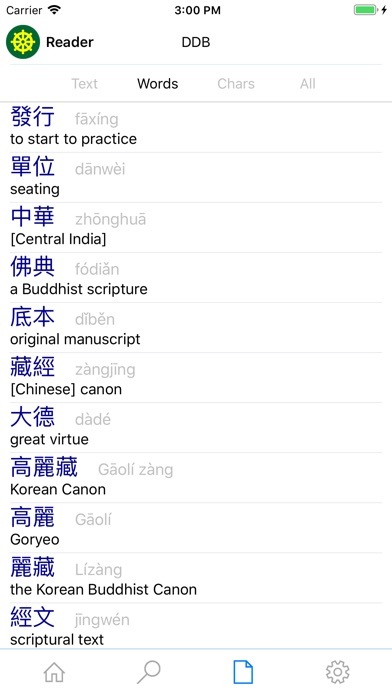 DDB (Digital Dictionary of Buddhism) and CJKV-E (Classical Chinese) are collaborative works edited by Charles Muller, University of Tokyo. 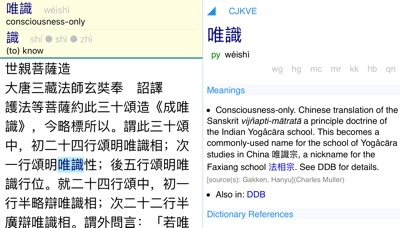 DDB Access gives access to DDB and CJKV-E from iPhone and iPad. DDB Access is a free app. Any user may access the dictionary by entering "guest" as the username with no password. 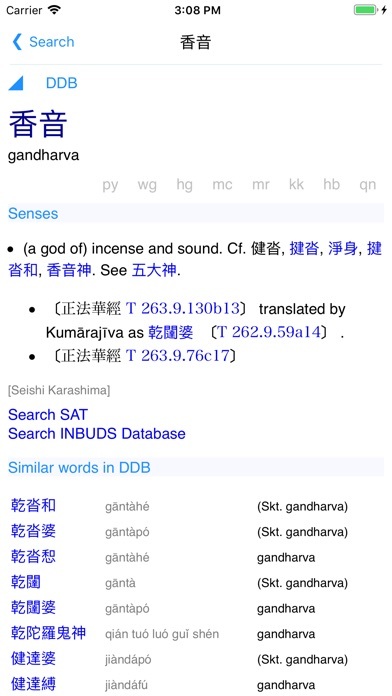 This will allow a total of 10 searches in each of the DDB and CJKV-E dictionaries in a 24-hour period. 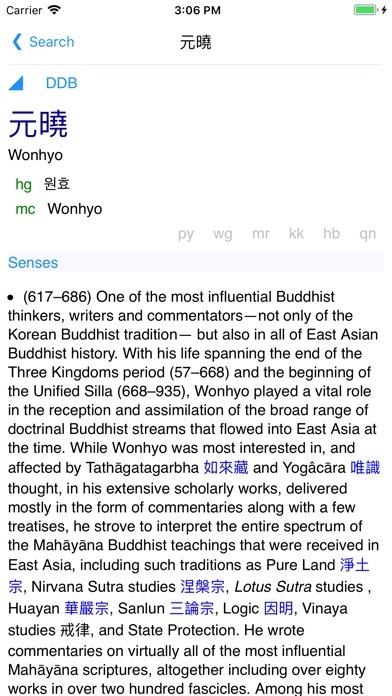 Contributors can get unlimited access by submitting a 350+ word entry as specified at http://www.buddhism-dict.net/contribute.html DDB and CJKV-E are primarily resources for scholars. Contributors are required to have completed a graduate degree to at least the equivalent of the M.A. level in graduate school program at a fully accredited university, where one has received direct formal training in the reading of classical East Asian Buddhist texts. 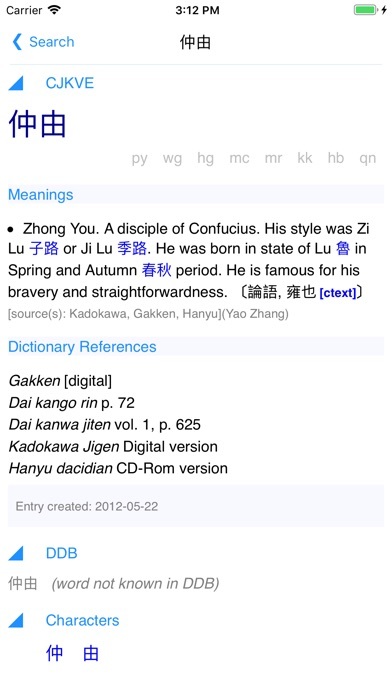 Features: - Search dictionaries by Chinese or by translation. - Clipboard reader: copy a full text and get all words with one click. 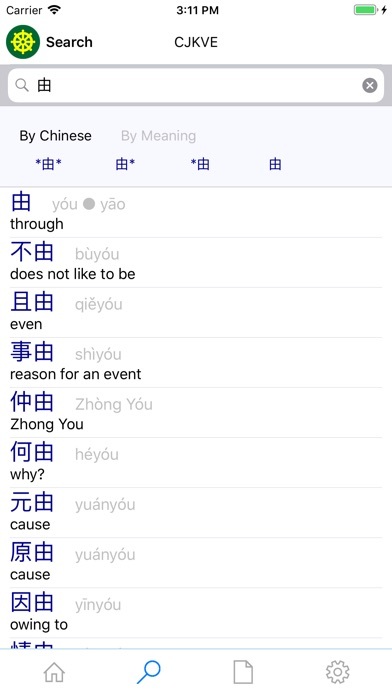 - User chooses to show pronunciations in Chinese, Japanese, Korean or Vietnamese. Made for iPhone and iPad: - Landscape (horizontal) best for iPad. - In multi windowing, the app can show a convenient "iPhone like" smaller window on top of any other application. Special thanks to Michael Beddow who developed and steadfastly continues to maintain the DDB and CJKV-E servers. Michael makes this application possible.